How To Not Play Golf With Your Significant Other! How To Play Golf With Your Significant Other! If you ever play golf with your significant other, you need to know a few basic “rules” before you ever hit the links. 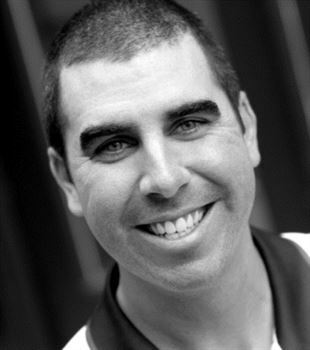 Guest writer, Dayne Gingrich of CoachYourMind.com has some great advice for playing golf with your partner! This is a topic I’m very familiar with. Until I learned how to play golf with my wife, I regularly brought her to tears. I didn’t verbally abuse, or try to analyze her entire game. Instead, I played the round as if I was playing a tournament – ultra focused and quiet … the exact opposite of why she was playing. I quickly learned that our reasons for playing were quite different, and if we wanted to continue in the future, I needed to adjust. She wanted to have fun, socialize, and simply spend quality time with her husband. Conversely, I wanted to improve my score, work on my course management, and increase focus levels. I had to realize that our priorities were different, and it was o.k. to simply “play for fun,” and enjoy the time with my wife. After looking at golf through her eyes, I immediately ripped up my scorecard, and made her enjoyment the priority. Ironically, this increased my enjoyment level, as well. The solution came down to the simple fact that I wanted my wife to have fun, more than my need to play perfectly. Before stepping onto the course with your significant other, understand each other’s goals for playing. Men, allow her to simply play and have fun, regardless of outcome. It’s this fun that will bring her back. Explain to her, before hand, the value of proper etiquette, but don’t worry so much about “how” she’s playing … unless, of course, she asks for advice. Women, know that a man’s competitive drive often overrides his compassion and understanding for anything else at the moment. It’s very easy for him to lose focus on the “enjoyment” of the round. Nicely remind him why you’re both spending those 4 ½ hours together, and give him room to “remember” again. Respect each other’s motivation for teeing it up, and understand you both view golf through different lenses. Knowing this, and talking about it prior to the round, will alleviate friction and potential trouble couples face on the golf course. Mickelson Teaches Bunker Shots: I Need To Get My Golf Out Of The Beach! ← How Do You Deal With A Slump In Your Golf Game? I agree with marianne. Most of the women I know play golf because they love it nto just to be out for the day with their spouse. They play well too and don’t like advice while playing. They go to the local professional for that. I think you should just play golf which ever way you want to. Although eager to read the article, I found it to be rather condescending to women. Maybe his wife just wants to have a good time, and many women do play golf for just that reason. But there are many women who also want to improve scores, work on course management, increase focus, and still have fun doing it. I’d love to read Gingrich’s suggestions for the woman who can try to improve her golf skills and still have fun with a husband who is attempting the same. Improvement does not mean being antisocial. @CharlesJustiz aka the Wonder Husband and I try to walk nine holes every day after we drop the kids off for school. It is such a nice way to spend some time together, we only help each other if asked. It has done wonders for an already great relationship. Can’t recommend it enough.